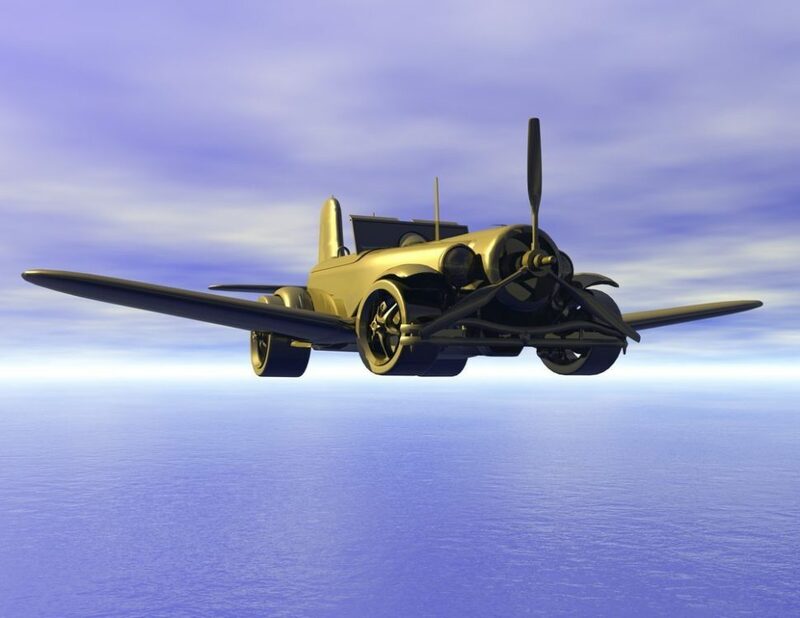 Edgy Labs' Will McKinney shares with you 7 current limitations to the production and use of flying cars in our skies. This one's for the Jetson's fans. Could flying cars become a reality within our lifetime? Perhaps, but here are seven limitations that are keeping them grounded for now. According to the CEO of Airbus, Tom Enders, they will be testing their first self-piloted airbus prototype by the end of the year. While that sounds like a phenomenal achievement, I’m a bit skeptical of the realities that keep me from cutting off George Jetson in traffic. 1. We need more power! Flying cars will need a ton of power to achieve lift for extended periods of time. Add that to the clamor for renewable energy and you have a large hurdle that will need to be overcome by a serious advancement in clean energy development. That being said, Industry 4.0 is delivering more advanced power solutions every day, so this problem might not be so insurmountable as it seems. Cars are loud enough without adding aircraft into the urban mix. If you live near an airport, then you know how much noise fast moving objects can make as they tear through the skies, and that level of noise is completely untenable for inner-city operations. Thankfully, researchers are working on new types of aerodynamic designs to address the noise issue in large aircraft, so hopefully, some of that research can be scaled down for use in flying cars. The amount of cabin space is a real issue for flying cars, and if we want to streamline global travel efforts then flying cars will be less effective than trains for transporting large numbers of people. This may limit where we use flying vehicles, and how much of a limit that is will depend on how many people can fit into a flying car. Cars are expensive enough as it is, but flying cars will be stuffed to the brim with advanced technology that will likely keep them out of the hands of the general public, at least at first. When we achieve the technological capability for urban flying vehicles, we hope that the costs will be kept low, which would make flying cars viable for an open market, but it is not likely that the flying car market will be anything but a luxury at its onset. When we achieve the technological capability for urban flying vehicles, we hope that the costs will be kept low, which would make flying cars viable for an open market, but it is not likely that the flying car market will be anything but a luxury at its onset. 5. How Will we Address Safety Issues? The thought of riding in a flying car excites and terrifies me. It’s one thing to be in a commercial airline that has years of trials and testing to verify its safety, and it’s another thing to enter a much smaller metal box that is on the bleeding edge of our technical abilities. The automotive industry is advancing the safety of cars on the road by paying for lots of research and development, so imagine how much harder the task of safety will be when vehicles go airborne. Flying cars will still have wheels, after all, so they will need all the safety features of cars along with a new suite of innovative ideas to address the dangers of traveling through the sky. Many people, myself included, will not want to step foot into an airbus unless I can be ensured that it won’t fall out of the sky. On the off chance it does, I want something to minimize any resulting injury or death. It’s a safe bet that some regulatory body will have to be established to help verify that kind of safety for the sake of the consumer. The infrastructure we use for vehicles has been in place for decades, but what will it look like when cars can fly? We may see garages with sky-roofs, or public landing pads, but either way developed countries have a task ahead of them to create the kind of infrastructure that flying cars will need. On the other hand, developing countries have an edge in this area. European cities may have streets that were initially designed for horses, but developing countries may have a chance to build with roadways and airways in mind. Hopefully, such countries will have an infrastructure that will enable all kinds of traffic, but it would be wise for them to plan to do away with such an infrastructure if flying vehicles become commonplace. Safety isn’t the only area that will need regulation. Startups all over the world are trying to crack the AI/Vehicle puzzle that is the self-driving car, and flying vehicles may be made with automatic functionality in mind. For anyone planning to make flying cars, that means planning for the kind of regulation that their AI algorithms will have to operate under. New regulations might also be in order to address the more dense air traffic that will result from flying vehicles. We may not have to put up with stop and go traffic in the air, but we will likely have our flight plans monitored to ensure our safety as well as the safety of the places we fly through.